"We always think about her," said Mr Watson. "We desperately want to know what happened." Yvette's parents last saw her on Sunday 25 March at the David Rice Hospital in Hellesdon where she was a voluntary patient being treated for depression. Mr Watson said Yvette was due to go back to her parents' home on 2 April because she was nearing the age of 18 when the hospital could no longer look after her. Mrs Watson said: "She had been quite ill and I don't think she was thinking straight. She was very vulnerable... and she would talk to strangers." Yvette's early years showed little sign of trouble. She attended Aldeburgh Primary and Leiston Secondary schools, receiving praise in reports for her "original mind". Mr Watson said: "We don't know what happened to her. The police went into it thoroughly. They even went over to Ireland as part of the investigation. "We would love to find out if she is still alive and what led up to her disappearance." 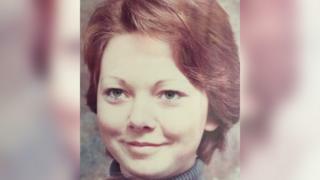 Andy Guy, cold case manager within the joint Norfolk and Suffolk major investigation team, said: "There have been a number of theories over the years concerning the circumstances of Yvette's disappearance. However, sadly, she has never been found. "We will always review any information given to police and take necessary action if it is thought to be credible, regardless of how much time has passed."